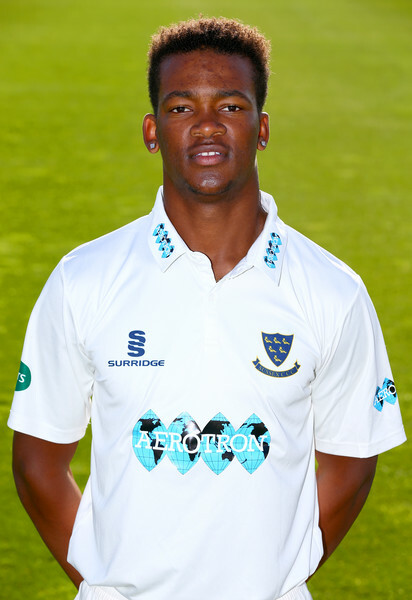 Delray Rawlins and his Sussex teammates have had an opening day to forget against Northamptonshire in their Specsavers County Championship - Division Two match at The County Ground, Abington Avenue. Both teams were bowled out on the opening day, with Northamptonshire leading by 49 runs, Sussex won the toss and elected to bat, they were bowled out for 118, Lurie Evans was their top scorer with 34, Rawlins went without scoring, while BW Sanderson was the pick of the Northamptonshire bowlers with figures of 12-3-32-4. In reply Northamptonshire were bowled out for 171, they were 111/9, but a 60 run 9th wicket partnership carried them to a lead of 53, BJ Curran and Sanderson both scored 36, Ollie Robinson was the pick of the Sussex bowlers with figures of 17-2-55-4. Sussex would close out the day 4/0 after 5 overs.